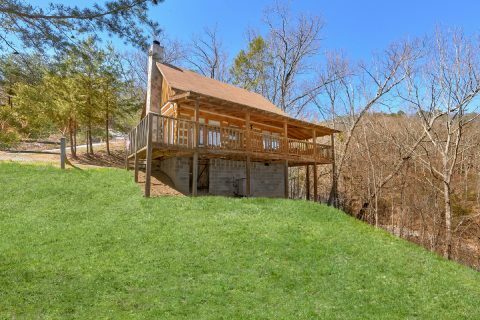 Escape to a divine cabin at "All by Grace!" 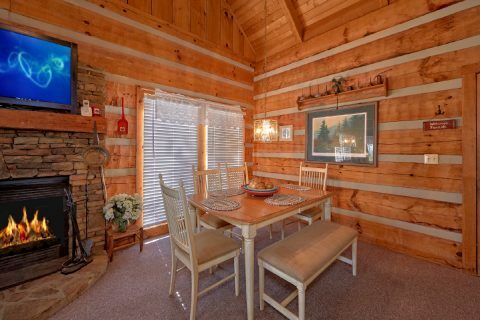 This cozy 1-bedroom cabin rental near Pigeon Forge provides guests with a home away from home in the mountains that's sure to be the setting for a vacation to remember. 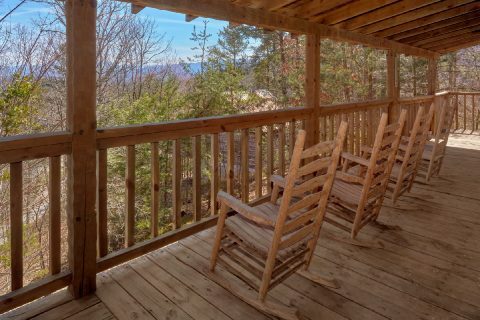 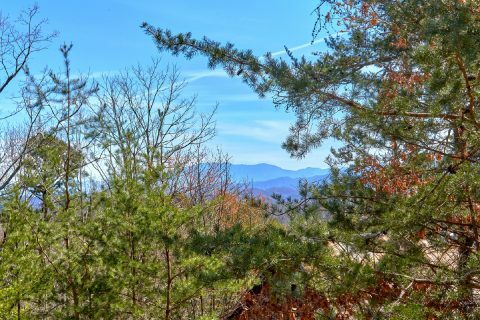 Located near fun attractions, this cabin lets guests enjoy a scenic mountain retreat and a convenient location near all the Smokies have to offer. 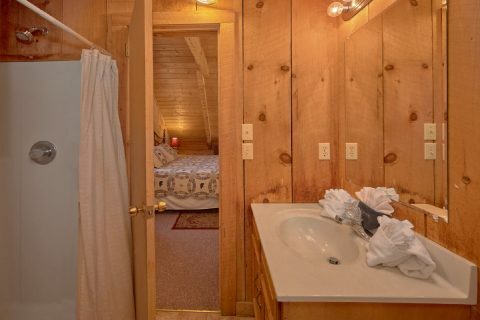 This one-bedroom cabin provides guests with a warm, inviting interior that's perfect for relaxing on a mountain vacation. 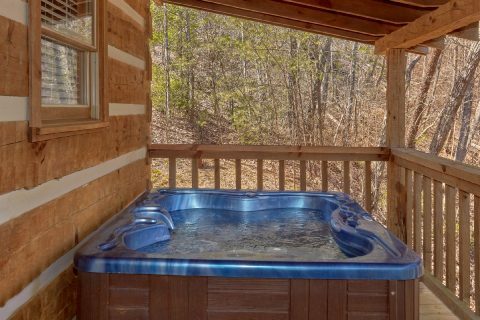 Unwind in front of the wood-burning fireplace on a cold winter night or in the warm waters of your hot tub. 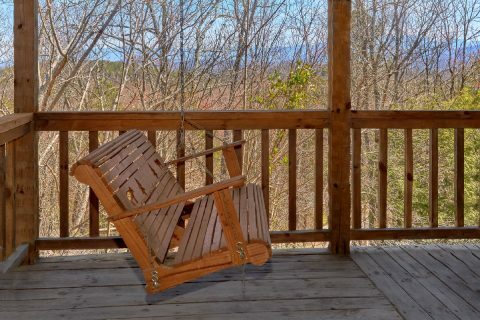 Outside, you can enjoy wooded views from your deck. 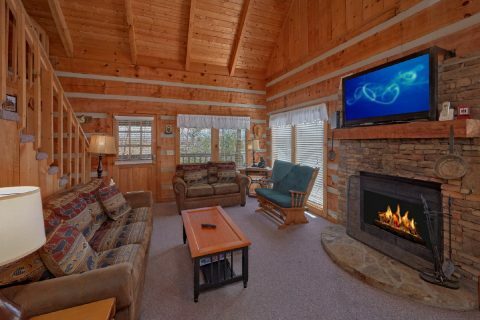 You'll also enjoy practical amenities, such as cable TV, WiFi internet, and washer and dryer. 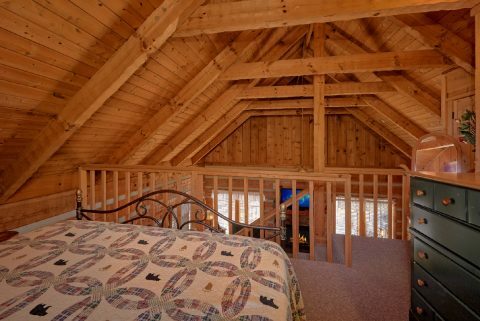 At the end of the day, you can relax in either the main-level bedroom or the loft. 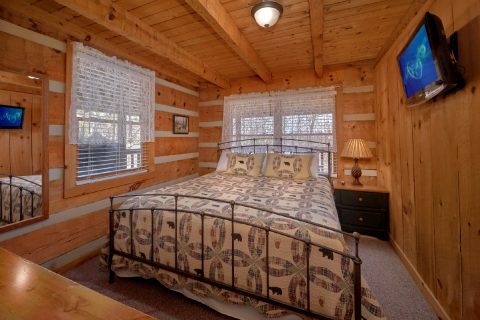 The main level bedroom features a king bed for a comfortable night's sleep as well as a TV for relaxing and unwinding. 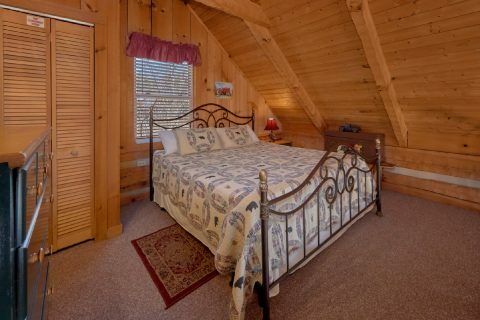 The loft provides another comfortable king bed for your cabin stay. 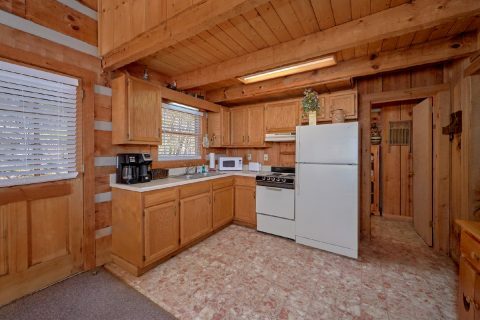 If you need more sleeping space, a queen sleeper sofa offers some additional arrangements. 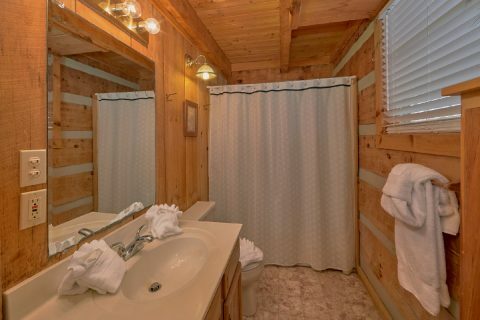 If you need even more room for additional guests, this cabin rests down the road from "Bear Kissin and Huggin" as well as "Bear Tubbin," and these cabins can be rented together for small groups or couples vacationing to the Smokies together. 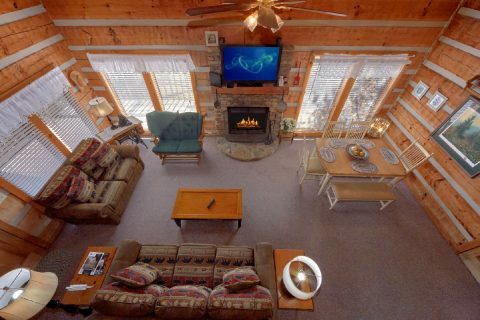 Talk to a reservations specialist today and arrange lodgings for you and your group! 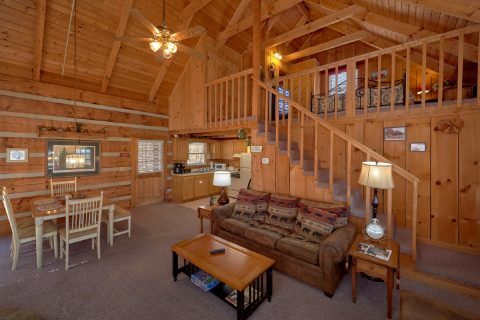 Book "All by Grace" today and enjoy a 15% online booking discount on this 2-bedroom cabin near Pigeon Forge!